India’s newest airline announced on Monday it would start flying next month and was ‘enthusiastic’ about the future, even as rival carriers bleed red ink. 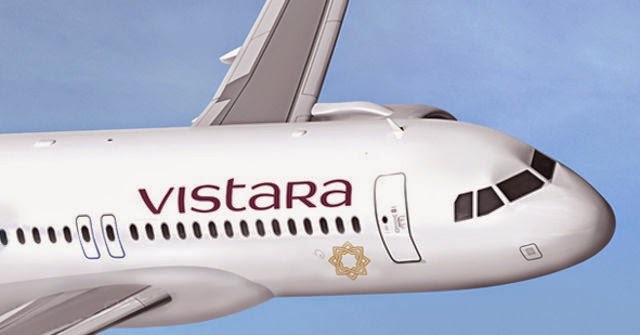 The new airline, called Vistara — a Sanskrit word meaning “limitless expanse” — will make its first flight on January 9. The airline is 49-per cent-owned by Singapore Airlines, one of the world’s top-rated carriers. Mumbai-based Tata conglomerate, one of India’s best-respected brands, controls 51 per cent. “We’re enthusiastic. There are no doubt challenges, but we believe in the immense potential of the Indian aviation market,” Vistara chief executive Phee Teik Yeoh told reporters. The 46-year-old former senior executive of Singapore Airlines, added he had felt like “breaking into song” ever since Vistara cleared the final hurdle to start flying, obtaining its Air Operators Permit from the government earlier this month in India’s highly regulated market. While airline analysts say India’s aviation future belongs to low-cost carriers, Yeoh said there was also room for full-service airlines. “We’re here to redefine the flying experience” and “create a demand for a kind of personalised travel” that doesn’t exist, he said, referring to the “massification” of the Indian travel market. Vistara will operate the 148-seater Airbus A320-200 with 16 seats in business class, 36 in premium economy and 96 in economy. Once it takes off, Vistara will be the third full-service carrier after state-run Air India and Jet Airways, which are both making chronic losses. The new carrier will start with Delhi-Mumbai flights and then include the western city of Ahmedabad. It will add routes as its current two-plane Airbus fleet grows. The carrier expects to have five planes in a month and 20 Airbus planes within four years. The launch comes after the debt-laden no-frills airline SpiceJet was grounded briefly last week for failing to pay fuel bills. India’s air passenger market has expanded at breakneck speed but many airlines are laden with debt and beset by cut-throat fare wars, high fuel taxes and shoddy infrastructure. IndiGo, India’s largest passenger carrier, is a budget operation and the sole one among the country’s four biggest airlines consistently to report profits. Kingfisher, a full-service airline owned by liquor tycoon Vijay Mallya, was grounded by huge losses in 2012.